Oxford is home to world-famous University colleges and some of the greatest minds the world has ever seen. Scholars, scientists, poets, philosophers, business heads and world leaders have all studied in this city and we invite you to follow in their footsteps. Oxford University is comprised of 38 colleges, many of which were founded in the Middle Ages and almost all of which are situated close to the city center. St Hugh’s College, which belongs to Oxford University, was founded in 1886 by Elizabeth Wordsworth (great niece of the famous poet William Wordsworth) and is situated within easy walking distance (a 15 minute walk) of the city center. Some of the notable names connected with the St Hugh’s College are the Nobel Peace prize winner in 1991, the Burmese politician Aung San Su Chi, the British writer Richard Hurst, Suzy Klein (British writer and BBC broadcaster), Nicky Morgan (an MP in the British government), Amal Clooney (British-Lebanese human rights lawyer and activist, wife of Hollywood actor George Clooney) and many more. Most of the St. Hugh’s College buildings are arranged round the perimeter of its campus producing some six hectare (60,000 square meters) of tranquil, partially wooded gardens; it is one of the hidden delights of Oxford. The College is only a short bus journey away from the beautiful Cotswold countryside and an hour by train or bus from the center of London. 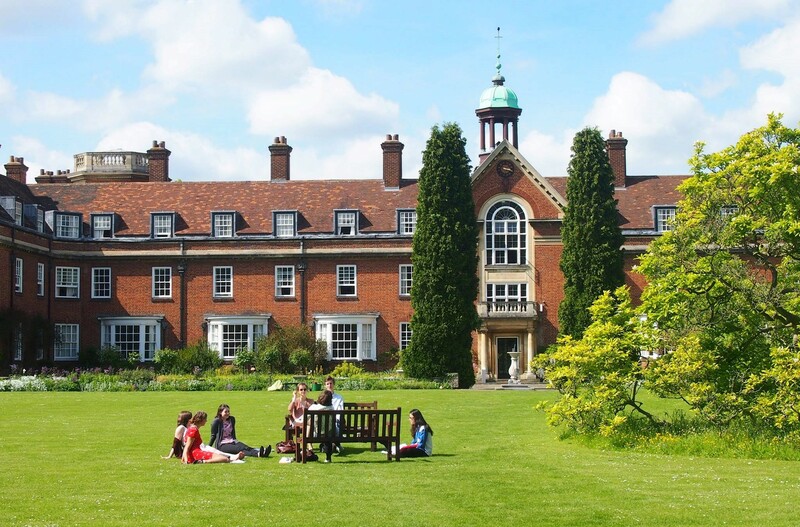 The academic summer school at St Hugh’s College is organized by Dukes Education Group, which, during the last 20 years, has delivered high-quality education and admissions guidance for students of all ages, helping them develop academic excellence and gain entrance to top independent schools and leading international universities. 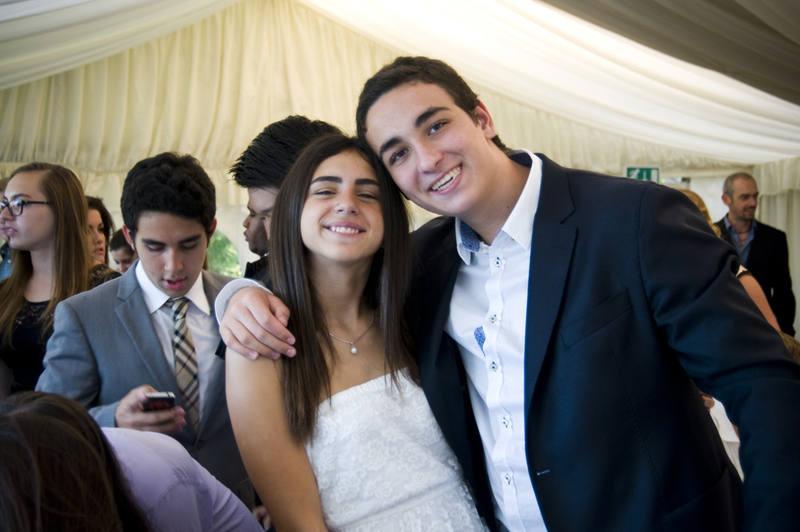 In addition to summer schools, Dukes Education operates three colleges in Southeast England – Fine Arts College in Hampstead, north London, Acorn House College, a college specializing in the medical sciences in West London, and Rochester Independent College in Kent, a day and boarding school offering a fresh take on British educational values. 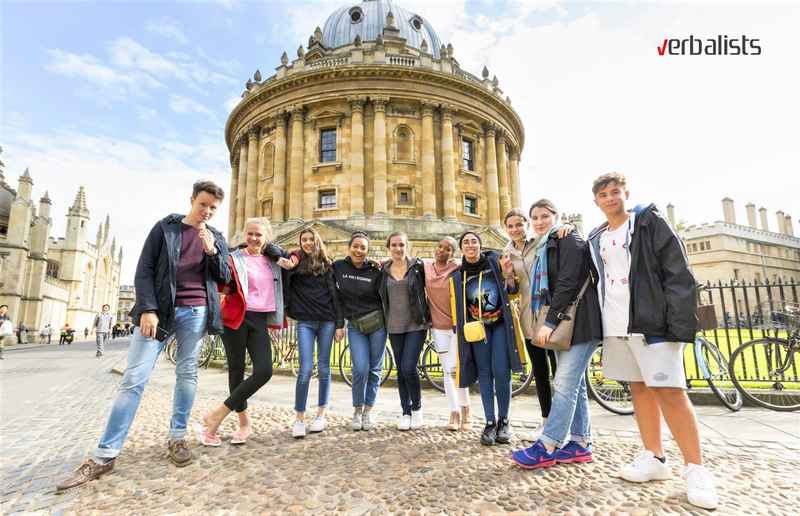 The enriched program, designed for young learners of English aged between 15 and 17, combines a comprehensive academic curriculum with an engaging and varied social program, all within the inspiring setting of one of the prestigious Oxford University college. There are a variety of study options available that cater for a range of academic interests and university pathways. The maximum size of any class is 12 students and this small class size enables students to enjoy full participation in the lesson and a high level of individual attention from the teacher. As part of the enrollment process and prior to arriving at the college, Verbalists Language Network’s representatives will send each student a short online placement test. Students will have 22 hours tuition per week. This consists of 15 hours subject specific tuition (Morning Elective Courses), 4 hours of study skill development in Afternoon Seminars and 3 hours of Academic Highlights during a Guest Lecture, Academic Excursion or Time to Shine event. There will also be a short online placement test that students must complete before arriving at the college. 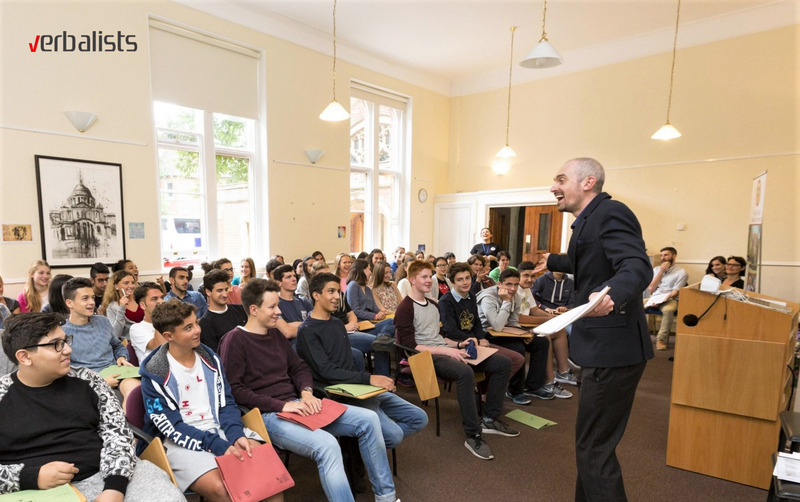 An integral part of the Academic Programme at Oxford College Summer School is to help students prepare for academic success at university. Students will have 8 hours of additional University Preparation, which includes a series of study skills seminars and guest speaker lectures, which aim to assist students in achieving success in their future academic studies. In addition, students are provided with advice and guidance on how to apply to UK universities. 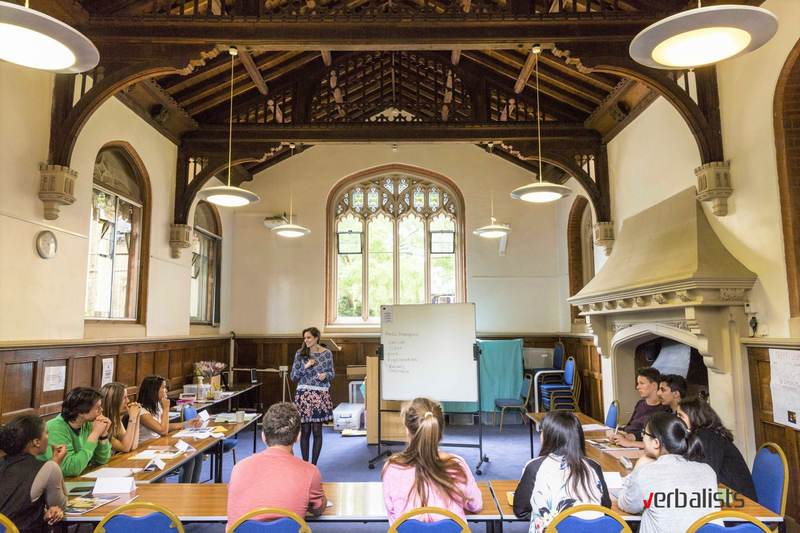 At Oxford College we invite Guest Speakers to deliver informative and engaging workshops to our students, which are relevant to their field of study. Not only will students actively apply their academic listening and note-taking skills, but they will benefit from an authentic university seminar experience and learn more about studying their chosen subject at university. From the moment of booking, Verbalists’ representatives will be on hand to support you until the end of your stay. Whether you have any questions before you arrive, or would like to speak to one of our staff members during the course, we have a staff team available to help and advise you. To help you choose the most suitable courses, we have included At a Glance section (photos) as well as the description for each below. At a Glance section photos are important since they outline: available course length, skills that will be developed, level of necessary English knowledge, and applicable field of study/interest. General English has been designed to further the development of our students’ communicative abilities and has been created for students who wish to improve their English for academic situations. Through a series of interactive lessons and workshops, our students will improve their ability to effectively participate in lectures and tutorials, as well as develop their ability to research and critically analyze academic topics. The ability to use appropriate academic vocabulary and grammar is central to successful academic performance. General English broadens students’ awareness of approaches and strategies for using appropriate vocabulary and grammar in academic situations. Today giving great presentations is a vital skill for achieving academic and professional success. General English reflects this by having the art of giving presentations as the central focus. The course develops and improves our students’ abilities to use English in a variety of real-life and practical situations, as well as offering intensive training in developing presentation skills. By doing so, our students will discover in themselves a new confidence in using English in public situations. Successfully using English in academic situations is not only a question of choosing the appropriate register, vocabulary and grammar. Critical thinking plays a crucial role too, as it is used to construct sound arguments and critique the arguments of others. In addition, students will also be shown effective research skills. Students will practice analyzing sources, examining arguments, selecting information and deciding which content is relevant, justifiable and usable. Why choose Politics & Economics? Politics & Economics has been designed for the political leaders of tomorrow. In this course, students will develop their knowledge and understanding of key political and economic concepts, as well as developing their understanding of international geopolitical trends. Students will develop their understanding of key concepts in the process of governance and how they impact on society. In addition, students will discover how governments and governmental policies are maintained or changed, while furthering their ability to evaluate the ideologies and values at the heart of different political systems. Economic considerations are at the heart of nearly all policy making, in all governments, worldwide. In Politics & Economics, students will discover how Economics shapes political thinking and ideologies, both nationally and internationally. Students will focus on how resources and consumers shape domestic and foreign policy. Mastering the art of giving presentations is essential for any successful political career. Our Politics & Economics course therefore assists students in developing their presentation and leadership skills. Throughout the course students will participate in an assignment in which they will develop a campaign for a political election. This project will culminate in the students giving a 10-minute campaign speech and presentation. Law has been designed for the barristers, solicitors and judges of tomorrow. In this course, students will develop their knowledge and understanding of key legal concepts, as well as developing their ability to develop and use legal argumentation. Students will broaden their understanding of core concepts in the theory and practice of law. In addition, students will have the opportunity to discover how law and lawyers function in the fields of criminal, familial, tort and contract law, as well as how solicitors, barristers and judges operate within these domains. The ability to develop and use argumentation is integral to a successful legal practice. Students will learn how argument is best deduced and applied in both theoretical and practical case studies, in which the students are given the opportunity to practice and simulate the real duties and responsibilities of a practicing lawyer. In order to succeed as a lawyer, it is vital that students master the art of presenting their cases. Law reflects this by having the art of public speaking as the central focus of our syllabus. Throughout the course, students will participate in an assignment in which they will develop a case for the defense, or prosecution, in a mock legal trial. This project will culminate in a full simulation of a legal trial, including judges, lawyers, barristers, prosecutors and defendants. Medicine has been designed to be a comprehensive, interactive course for the doctors of tomorrow. During this course, students will develop their knowledge and understanding of the world of medicine, through the theory and practical skills involved in being a doctor. As well as receiving a certificate and report at the end of their stay, students will leave with a First Aid qualification. Our Medicine students will develop their understanding of human biology and contemporary medical issues. In addition, students will discover how doctors function in the medical field and will learn how to deal with practical medical issues, during First Aid training. Throughout the course students will run through hypothetical and practical situations, in order to develop their ability to identify symptoms, analize findings and diagnose their patients. Our Medicine students will carry out tests, draw conclusions and present their findings to their fellow consultants. It is of great importance for our Medicine students to consider the role of medical professionals in a wider, ethical context. Throughout the course students will look at topical issues involving public health and medical ethics and will develop key skills in presenting their own ideas and forming clear, cogent arguments. This should enable students to feel well equipped to deal with ethical medical questions, both in a university and professional setting. Why choose Business & Leadership? Business & Leadership has been designed for the young business person of today, and the industry leaders of the future. The course focuses on Business Skills, Business Knowledge and Leadership. Over the duration of the course, students will participate in assignments and projects which will develop an understanding of how businesses work in practice. These projects culminate in the students’ design and presentation of their own product and start-up company. Students will develop their understanding of core business concepts relating to setting up a company, budgeting and finance, marketing, sustainability and growth. Students learn and study in an environment which is comfortable, communicative and interactive, with our experienced and dynamic Business & Leadership tutors. Students are taught key skills necessary in successful business interactions and transactions such as negotiating strategies, interpersonal communication, teamwork, and presentation skills. Our lessons place an emphasis on communication, so that students activate what they have studied through practical assignments and projects. To succeed in the field of business it is essential to develop effective presentation skills. Throughout the course students will participate in an assignment in which they will develop the concept and business plan for a new start-up company. This project will culminate in the students giving a 10-minute sales pitch presentation about their start-up company to a panel, who will offer feedback and guidance to the students. International Relations is a fast-paced and dynamic course which challenges students to think about key global issues that shape today’s world. Over the duration of the course, students will participate in assignments and projects which will develop their understanding of how and why the international landscape is shaped as it is, as well as enhance key skills in presentation, negotiation and diplomacy. Students will develop their understanding of key issues that shape politics in the modern world. Students learn and study in an environment which is comfortable, communicative and interactive, with our experienced and dynamic International Relations tutors. Students are taught vital skills needed in successful political interactions and transactions, such as negotiating strategies, interpersonal communication, teamwork, and presentation skills. Our lessons place an emphasis on communication, so that students activate what they have studied through practical assignments and projects. Today, giving great presentations is a vital part of a successful political career. International Relations reflects this by having the art of giving presentations as a central theme throughout the syllabus. During the course students will take on the role of representing a variety of countries, to assist them in theoretical consideration of different viewpoints, during discussions of relevant political debates. The course culminates in the students participating in a Model UN congress before an audience. Students at Oxford College have the opportunity to choose between three afternoon subjects. These are designed to complement their chosen Morning Elective and help students to develop specific academic skills required for further study. Academic Writing seminars enable students to develop key essay writing skills which are transferable to any academic course at university level. At this level, students are expected to be able to formulate their written ideas in a logical and organized way, articulate clear and cogent argumentation and use appropriate vocabulary and grammar. Academic Writing seminars instruct students on how to achieve this standard of excellence in writing. The dynamic and experienced tutors give individual feedback on each students’ written work, and advise on what specific areas students need to focus on in order to improve their academic writing skills most effectively. Students who opt for Global Thinking seminars will develop their political, economic, social and ecological knowledge. Each week students will examine a contemporary issue, such as education, international development or biodiversity, and formulate their opinion on the subject. Our students will be shown how to structure and deliver clear and cogent arguments, form critical responses to others’ opinions and develop their vocabulary around the issues covered. The course is designed to inform and provoke critical thought, and to inspire students to think about their roles as global citizens. Students will develop an awareness of different perspectives, think critically about the issues at hand and explore how these can be resolved. Trinity GESE exams are recognized by schools and universities around the world and are designed to test students’ speaking and listening skills, as well as build confidence and motivation in English language communication. There are 12 grades to chart students’ progress, right up to proficiency level, and our college students will have the opportunity to choose the grade best suited to their language ability. The GESE seminars are designed to complement the morning classes and will focus on providing guidance specifically for the GESE examination, to maximize our students’ ability to pass their chosen grade. The exam fee is included in the course price for those students who opt for the Trinity GESE Seminar and the exam will be conducted on campus, by a qualified Trinity examiner, at the end of their stay. All Oxford College students will receive 3 additional hours of study per week as part of our academic highlights program. This addition is designed to complement the courses on offer and give students the opportunity to expand their learning environment to outside of the classroom. The program at Oxford College culminates with the Time to Shine event. On the final afternoon of each course, each class will present their final project to their peers. 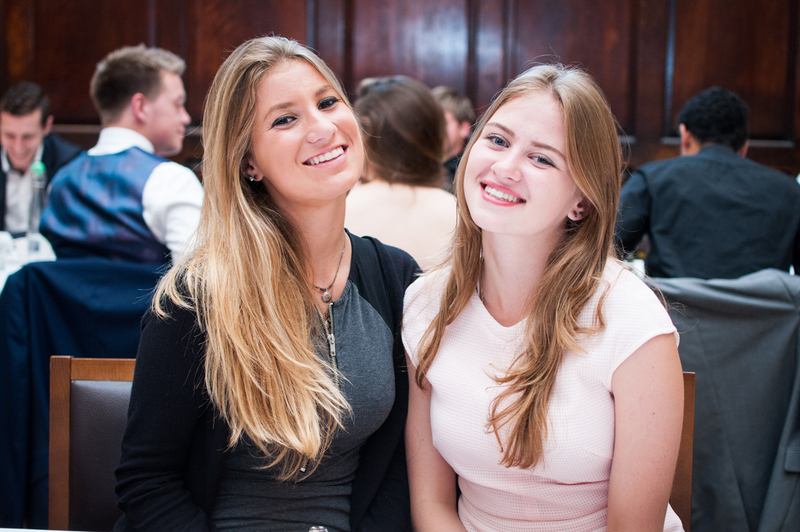 An incredible event, Time to Shine provides every Oxford College student with the opportunity to showcase their subject knowledge, improved confidence and newfound presentation skills, as well as congratulate each other on their academic achievements. The Guest Speakers are experts in their chosen field and offer students an insight into their discipline. These dynamic speakers come from eclectic backgrounds and in previous years we have been delighted to welcome historians, story tellers, artists, motivational speakers and university application experts. The sessions are designed to enhance students’ academic experience and are not only informative, but thought-provoking and enjoyable too. As well as broadening their education, insights and views during these lectures, students are provided with an authentic university lecture experience and have the opportunity to practice the academic listening and note-taking skills they have developed during their stay. 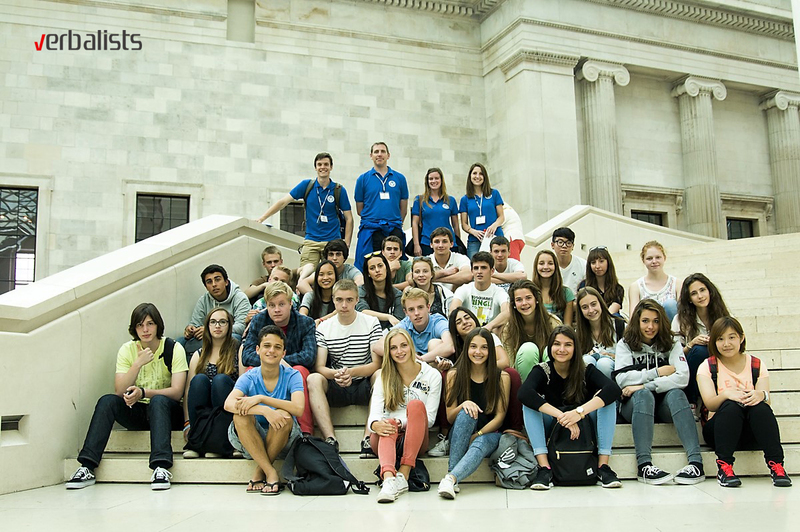 During their stay students will also spend an afternoon in London participating in an academic talk or workshop that is linked to their chosen subject. These workshops are designed to supplement what the students have been learning at the college and encourage them to actively apply their knowledge and skills in a more practical setting. Previous workshop destinations have included such iconic places as the British Museum, the Houses of Parliament and the British Library. 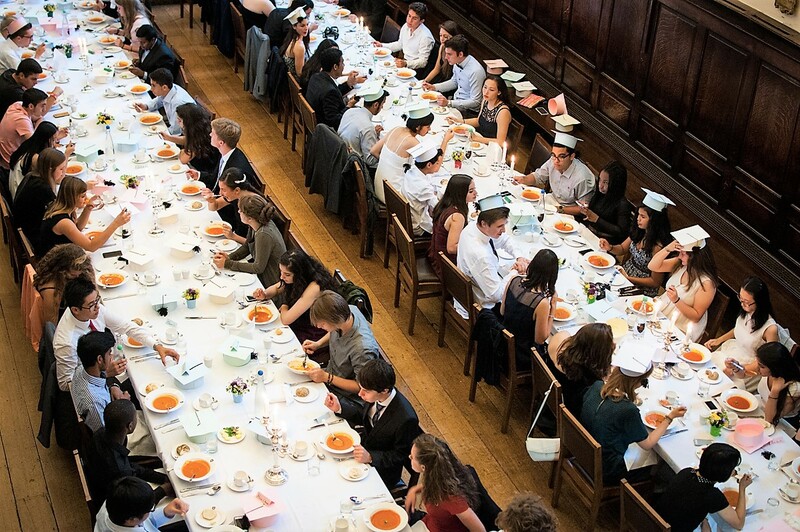 Following their academic workshop, students will come together to dine out in a central London restaurant; the perfect opportunity to socialize and discuss the various workshops they’ve attended. The day is then topped off with a visit to London’s famous West End, to see one of the captivating performances on offer. 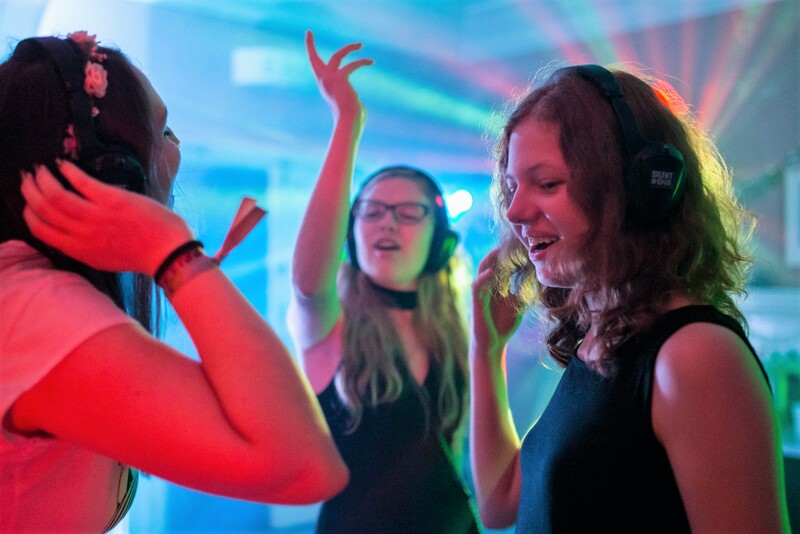 One of the most important things about a summer experience at Oxford College is sampling what life is like as a student in one of the most famous university cities in the world. 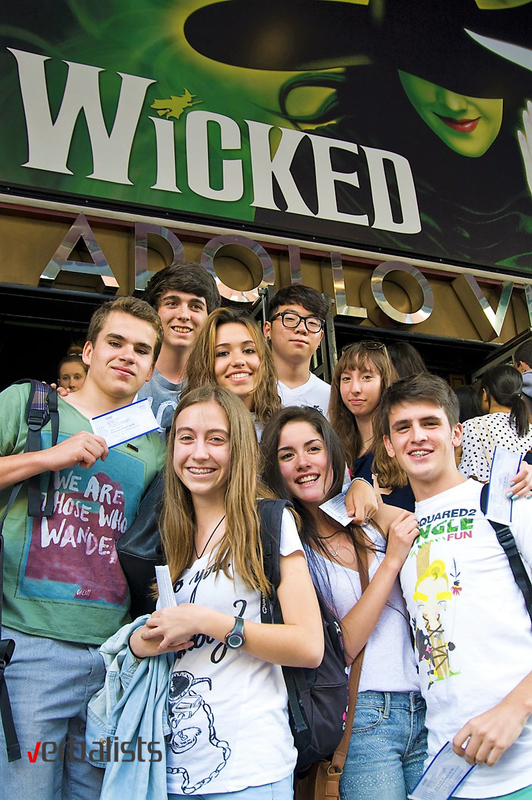 This comprehensive Social Program gives our students the opportunity to explore the city, make new friends, and relax. The dedicated and imaginative staff create varied programs and activities, taking into account the city, the Academic Program and the input of the student council. All of this together makes sure that there is something for everyone at Oxford College! The afternoons give students the opportunity to take part in a wide range of recreational activities and continue to develop their English speaking skills in a fun environment. During the excursion students will have the opportunity to explore the sights and soak up the atmosphere of this exciting city. They will see famous tourist attractions such as the instantly recognizable Big Ben, Covent Garden, Tate Modern and the Shard. The city’s buildings are striking and many photo opportunities are created with every corner turned. There will also be time for shopping on some of London’s most famous streets, home to iconic brands and the opportunity to buy souvenirs to remember the trip. After a busy and exciting day, students will dine in a London restaurant before ending with an iconic London experience. 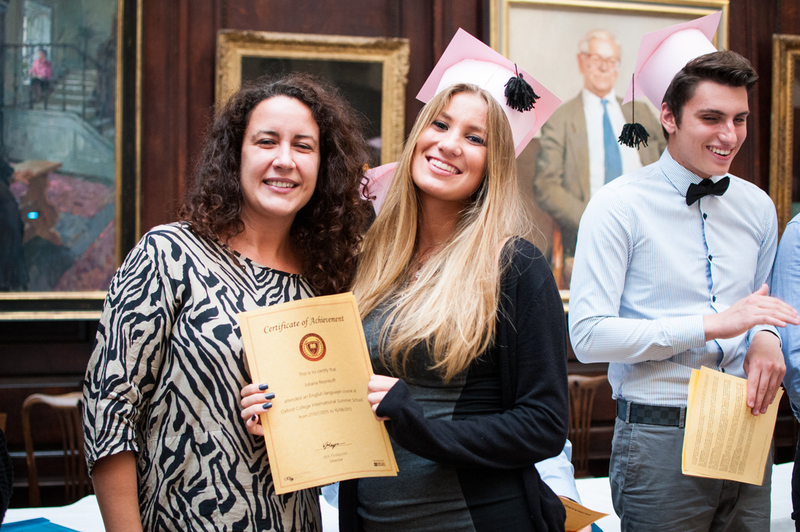 At the end of each stay there is a Formal Dinner and Graduation Ceremony to celebrate the achievements of our students. This is a fantastic opportunity to look back on the successes of the course, both academic and social, and the successes that are sure to come in the future. 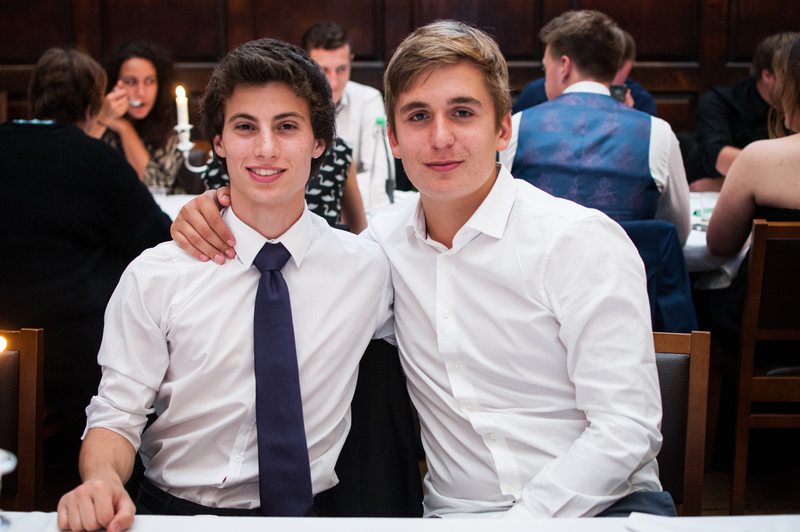 Set in memorable locations and with the whole college looking their best, our graduation evening is a highlight of any stay at Oxford College. Students who are finishing their course will be presented with their Certificate of Achievement and College Report, and awards will also be presented for special achievements. For those students who are staying for longer, it is a great opportunity to congratulate their friends and celebrate all of the special memories that they have created during their time with us at the college. All students are accommodated in single or twin rooms, with shared bathroom. 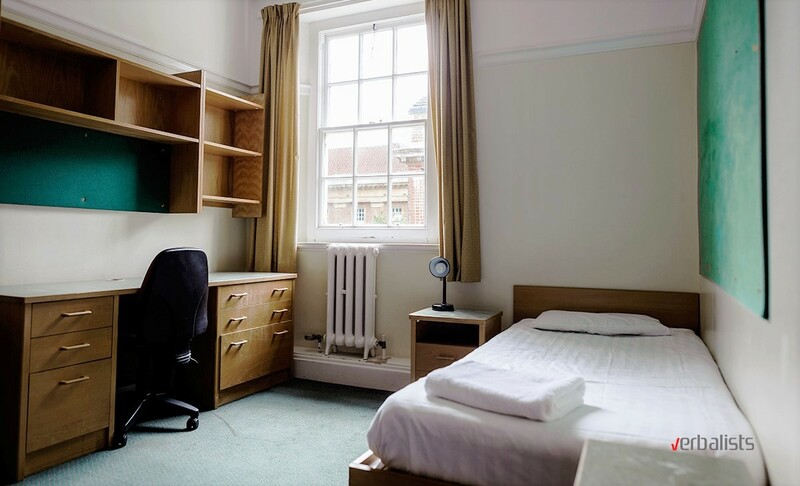 There is a limited number of en-suite rooms available for a supplementary cost of £110 per week. The residential accommodation is of a high standard and well-maintained, rooms are cleaned every day, Monday to Friday, and bathrooms seven days a week. Bed linen is changed once a week, but students will need to provide their own towels. Laundry service is also provided and included in the price of the course. Free WiFi. Meals are served on-site (university restaurant). As with the housekeeping, the College has its own professional catering team which ensures that an appetizing and varied diet, prepared to a high standard, is served at all meals. There is a vegetarian option served at all mealtimes and it is sometimes possible to make provision for specific special diets if we are informed at the time of booking. The safety and welfare of our students is of paramount importance to the Verbalists Language Network. Studying away from home can be exciting and daunting, you will face new experiences socially and academically and we are here to support you every step of the way. Oxford College offers a safe and secure environment for you to study and relax in. The St Hugh’s College has a CCTV security system which is complemented by the College’s own porters, who are on duty 24 hours a day. The grounds, together with the security system and staffing levels, provide a very safe and secure environment for our students. 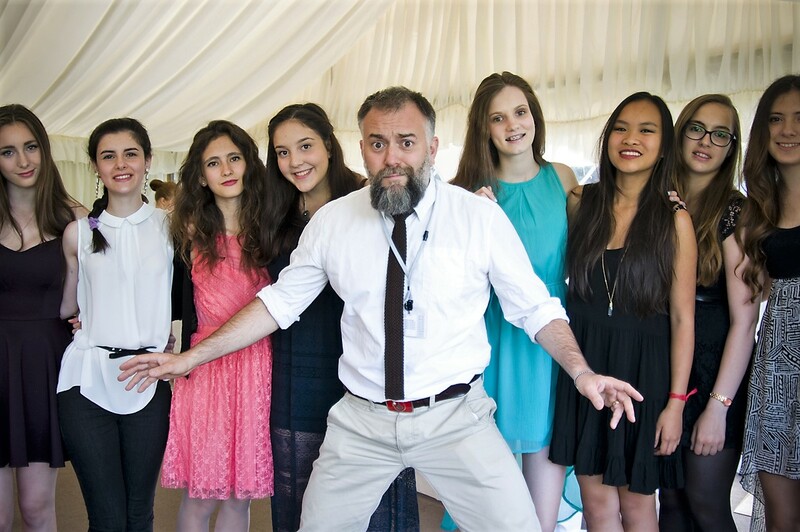 Duke’s Education, the summer school organizer, prides itself on offering the best possible support to students, confirmed by an official “area of strength” in The Care of Under 18’s, and Care of Students by the British Council accreditation scheme. All classes are taught by the certified and experienced tutors, who are all professionally qualified to British Council standards and are passionate about the subjects they teach. Duke’s Education College Mentors are key members of Oxford College staff who support and assist students throughout their stay. 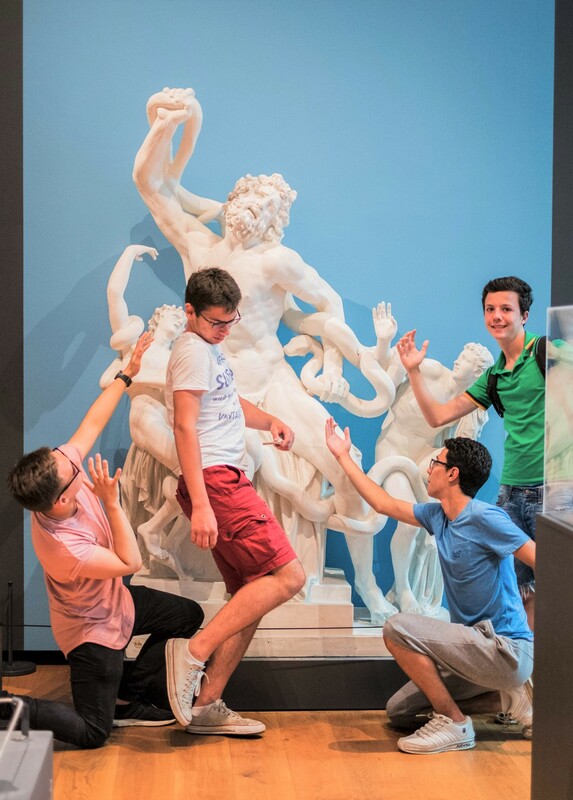 The team of College Mentors organize the college’s social events and excursions, as well as accompanying students into Oxford and during day trips. 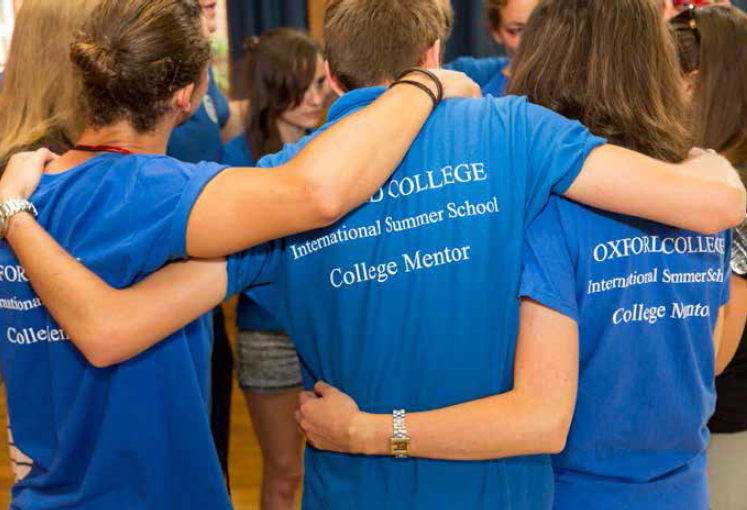 They are approachable and caring, providing pastoral care and ensuring that all students make the most of their time at Oxford College Summer School. When we send the booking confirmation we will include a “Parental Consent Form“, this form is intended for any student, under the age of 18, traveling alone without their parents. These forms should be completed and carried with all other travel documents, as the immigration officials may ask to see the completed form when the student arrives in the UK. Duke’s Education (Summer Boarding Courses Ltd), in association with Gibbs Denley Insurance Services, provides all students with comprehensive travel insurance included in the price of the course. Once your booking with the Verbalists Language Network has been confirmed, we will ask you to provide us with your travel information as early as possible. This is very important so that we can arrange airport transfers if required. The Airport Transfer Service to and from Heathrow airport on the published arrival and departure dates is included in the price. On the arrival day, coaches will leave Heathrow regularly for flights arriving between 9.00 and 16.00. For departure, the coach transfer service is suitable for flights departing Heathrow between 10.30 and 17.00. If you are unsure whether your flight times fit with our coach times, please do not hesitate to contact us for advice. For flights that arrive outside the above stated times, or at airports other than Heathrow, you will need to order from us a separate Taxi Transfer Service. Please contact us here for a Taxi Transfer quotation and further information if you are considering arriving or departing from another airport. On arrival at Heathrow airport, all students are met by a member of summer school staff who will be wearing a bright yellow SBC t-shirt (Summer Boarding Courses). Similarly when departing from Heathrow airport the school’s staff will accompany all students and assist with the check-in procedure at the airport. Please contact us for a Taxi Transfer quotation and further information if you are considering arriving or departing from another airport. The deadline for booking a transfer is the 19th June, unfortunately a transfer may not be guaranteed after this date. Students using the school’s Coach Transfer Service will be met in the main arrivals terminal at the airport and be accompanied to Welcome Club. Welcome Club is located at one of the airport hotels, away from the main terminal buildings where students are able to have some refreshments, relax and meet some of the other new students before taking the next Coach Transfer to their Oxford College campus. Please note that students who are not using the school’s or Verbalists Language Network’s Airport Transfer Service must be accompanied to the college by a parent or guardian on their arrival day and collected by a named person on their departure day. Students coming to Oxford College from some countries will require a visa to enter the United Kingdom. If you do require a visa, the type of visa needed is a Short Term Study (child) visa. To assist with the visa application, the school will provide a Visa Support Letter once the Verbalists Language Network has received the deposit payment (or upon receipt of full payment if booking is made after 15th May 2019). For more information on applying for a visa see UK Visas and Immigration. It is important to note that depending on the country, visa applications can take around 20 working days (or 3-4 weeks), therefore you are advised to begin the visa application process as early as possible. Not included in the price: Air fare to the camp, and registration fees £50. 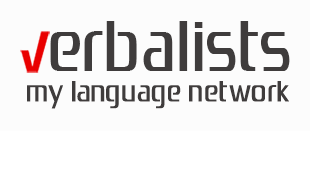 Air travel can be booked through the Verbalists Language Network. NOTE: We recommend booking early to avoid disappointment, as there are a limited number of places at Oxford College and the summer school may be full by April. If there is a remainder of the course fees to pay, this must be settled 60 days prior to the course start date at latest. Please note that filling out the PRODIREKT Application Form and Terms & Conditions does not secure a place on the program, nor does it mean you are under obligation to attend the course you are inquiring about. It is simply the first step in the application process, so that we can give you precise program details and check availability on the desired course. A contract is signed directly with the school, and a place is confirmed after a deposit or the whole course fee is settled. The Verbalists Language Network is a part of the US based education group PRODIREKT LLC, which is a certified representative and partner of prestigious schools and colleges in world renowned university centers. In fact, it was the cooperation with these reputable schools which led to launching Verbalists as a communication network, one of its kind in Europe. Furthermore, Verbalists is the answer to the growing demand for the standardization in foreign language studies.